Faced with pressure to reduce both the costs and the environmental impacts of their vehicles, fleet managers are seeking the most cost-effective ways to “green” their vehicle fleets while ensuring that operations continue to run smoothly. While a wide array of alternative vehicle options are now available on the market, many of them come with high upfront price premiums compared to traditional internal combustion engine (ICE) vehicles. According to a recent report from Pike Research, a part of Navigant’s Energy Practice, the low “fuel cost” (i.e. 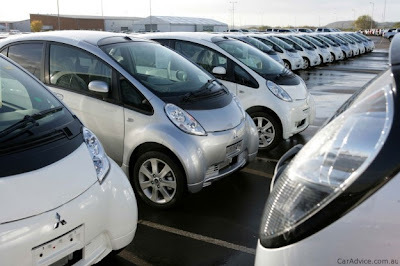 cost of charging) of electric vehicles, including both plug-in hybrid and battery electric models, brings their total cost of ownership (TCO) to below those of conventional vehicles or other types of alternative fuel vehicles, offsetting the higher average vehicle prices. Battery electric vehicles (BEVs) offer the lowest TCO of any of the 17 vehicles compared in the report, when taking into account the federal tax credit available for electric vehicle (EV) purchases. Fleet operators are more likely than consumers to focus on the total cost of ownership rather than just the upfront cost, making fleets an attractive early market for electric vehicles. Many government and utility fleets, which are often involved in testing vehicles, have already begun implementing Level 2 (up to 19.2 kilowatt) charging systems. Nevertheless, many fleet managers continue to see the cost of EV charging equipment as more of a concern than do the auto manufacturers.